"Wait, didn't I already see Baldur's Gate on this list?" 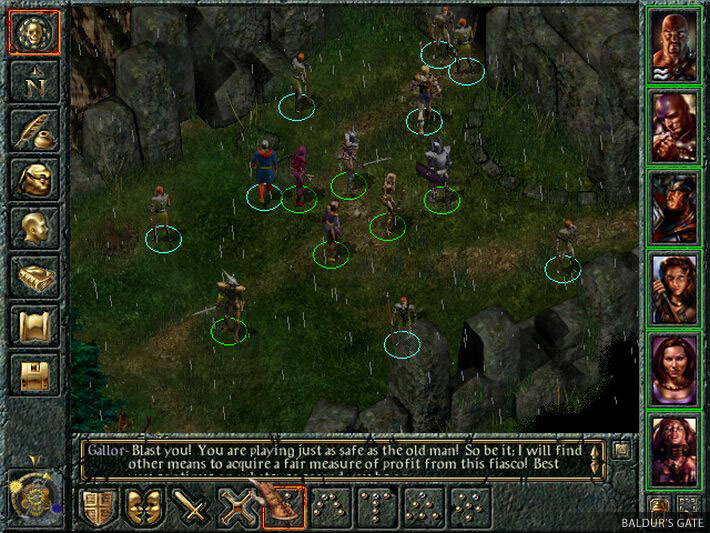 you're probably asking, well you'd be half-right if you are – well unless you visited this page first for some reason – but anyway, games from Bioware's Baldur's Gate series are featured twice on this list. While it was difficult to pick which one to go higher up the list, in the end nothing can beat the original right (despite many claiming the sequel was superior)? The game was the first to use the Infinity Engine and it was responsible for a resurgence of D&D-style CRPGs in the late 1990s and early 2000s. 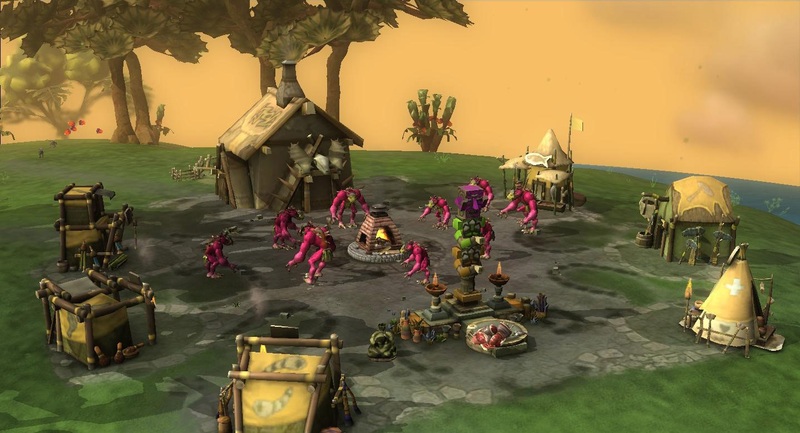 Spore happens to be one of the very first games reviewed on this blog and despite it being an interesting game, it was a bit of a disappointment for me. Two other judges on the panel disagree with my view though and are big fans of what was meant to be Will Wright's magnum opus. Spore is less of a game and more of a creative sandbox like The Sims or Minecraft in that you are not only responsible for guiding a micro-organism's evolution into a space-faring race, but picking how they look, what clothes they wear, what their architecture looks like and even what kind of planes they fly. The various stages that make up the evolution of your race is fun but the final stage is a bit lacklustre and you're always left with the feeling that the game had so much untapped potential. 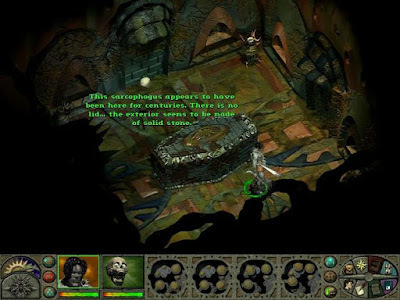 Planescape: Torment is another classic RPG built on Bioware's Infinity Engine. 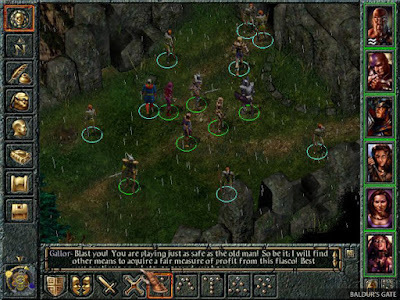 Made by veteran RPG developers, Black Isle Studios the game had several things going for it such as a unique setting which had realms based on each of the nine alignments in Dungeons & Dragons, a mind-warping, non-linear narrative and a cast of memorable characters. The game apparently wasn't a commercial success (probably because it was so out of the ordinary) but is critically acclaimed and with good reason. Its cult classic status no doubt helped its spiritual successor, Torment: Tides of Numenera become a very successful Kickstarter project and the game is currently in development by Obsidian Entertainment (which happens to be where many ex-Black Isle Studios developers ended up). 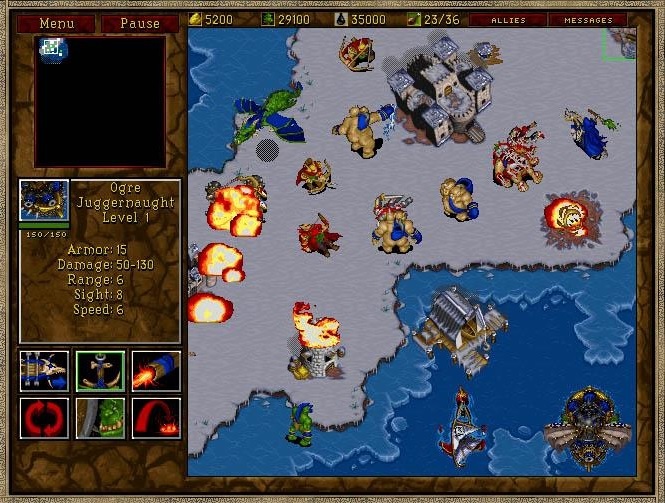 While the original Warcraft: Orcs and Humans would kickstart what would become Blizzard's most successful franchise, it was its sequel, Warcraft II: Tides of Darkness that showed the world Warcraft was here to stay and would become a direct competitor to Westwood's Command & Conquer series. While I appreciated the game for what it was worth, I was more of a sci-fi fan and consequently I preferred the Command & Conquer franchise over Warcraft. Nevertheless, two of the judges rated this title as one of the games of the 1990s and this is why it's in the #66 spot. Back in the 1990s, one of the most innovative developers out there was Peter Molyneux's Bullfrog Studios. While I'm surprised that another of their games didn't make the top 100, we've still got a couple of their games on here including this gem from 1994. 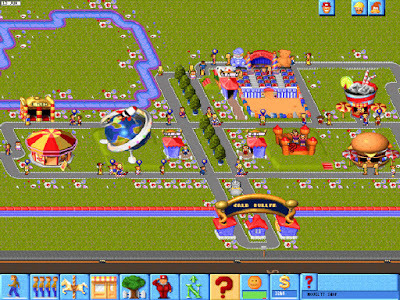 Theme Park is a management sim where you get to run your own amusement park; you're able to construct food stalls, hire entertainers and even design your own roller coasters. You also manage the more mundane aspects of running a business such as setting prices and ensuring your staff are well paid (because if you don't, they will go on strike). While management sims are a dime-a-dozen nowadays, Theme Park offered impressive animations, graphics and audio for its day which meant it really felt like you were managing a theme park. I thoroughly enjoyed this game as a kid and I reckon it still stands up today. 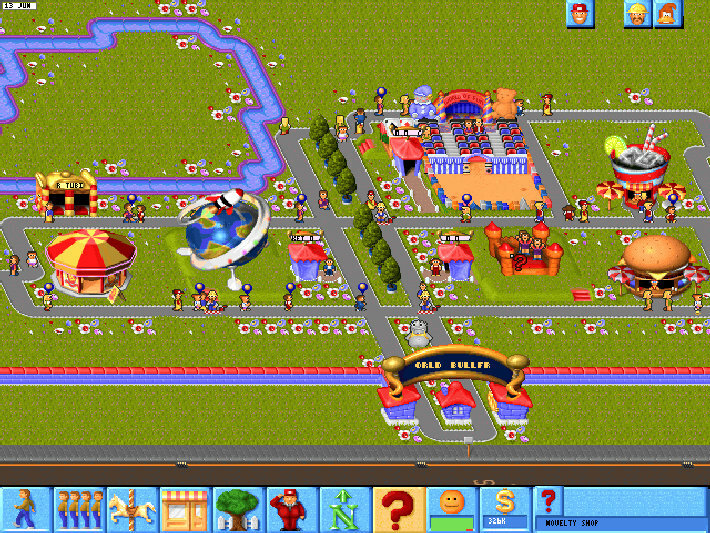 There's simply no competition except for maybe the Rollercoaster Tycoon games but Theme Park was there at the beginning. Besides my glowing recommendation for this game another Choicest Games judge also rated the game highly - another clear favourite of the 1990s. A long time ago on a PC far, far away, there was Star Wars: X-Wing - a space combat simulator by Lawrence Holland set in the ever popular Star Wars universe. As the name implies you were able to pilot the Rebel Alliance's X-Wing starfighter, but you were also able to fly the A-Wing and Y-Wing bomber too. What is special about this game is how it immerses you into the life of a Rebel Alliance pilot: You can earn ribbons and medals for the missions you complete, music is dynamic and played Imperial or Rebel themes depending on which ships hyperspaced in, and flying an X-Wing isn't as simple as flying in one direction and shooting; You had full control of where to divert power whether it was to lasers, shields or engines (which you can do in games like Elite: Dangerous today). 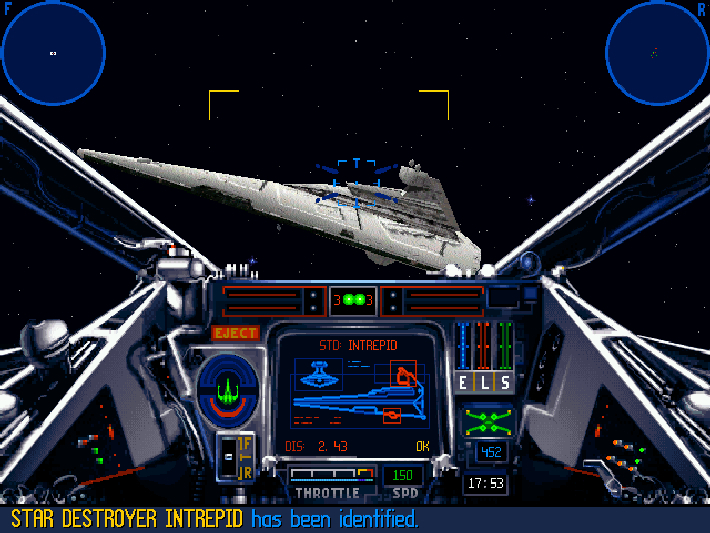 1993 was a good year for space sims and Star Wars: X-Wing was one of them. Three out of the four judges have played the game and two have fond memories of it. At #63 we have the turn-based strategy game set in SPAAAACE: Master of Orion. The game is important to me, not only because it was a great sci-fi strategy game with unique bonuses for each of the races you played as well as the ability to customise your own ships, but because it was the first game to be coined a "4X" title (meaning "eXplore, eXpand, eXploit, eXterminate") which has been used to describe games like Civilization and similar titles ever since. 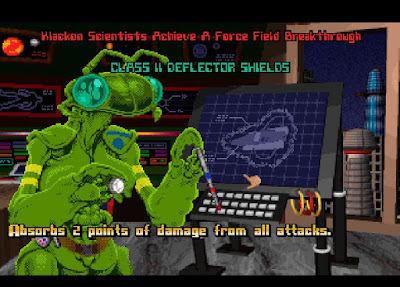 While the original Master of Orion isn't as similar to the Civ series than its sequel (e.g. 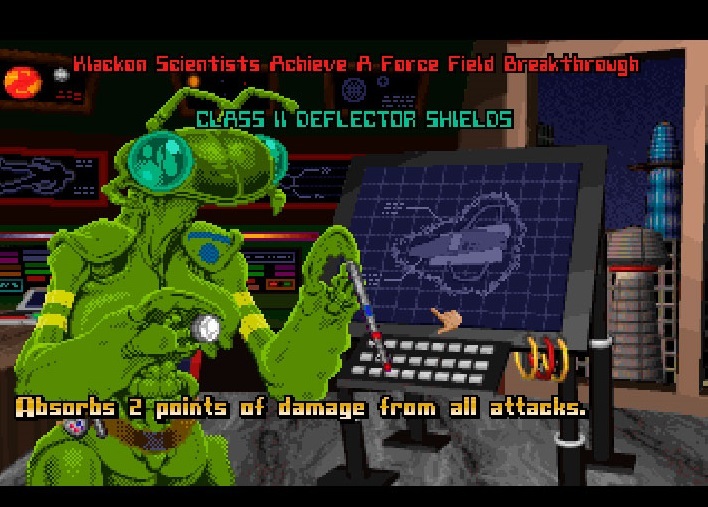 Master of Orion relies heavily on slider bars) it does have some similar elements like colonising new settlements, researching technology and fighting battles with foreign powers (in this case, aliens). You can also build "stacks of doom" just like earlier Civ titles. I think Master of Orion is one of the most important PC titles of all time, especially considering there's not many games like it except for maybe a whole bunch of indie titles that have been released in recent years through platforms like Steam. It's probably no surprise that World of Tanks publisher, Wargaming.net are planning a reboot of the series this year. 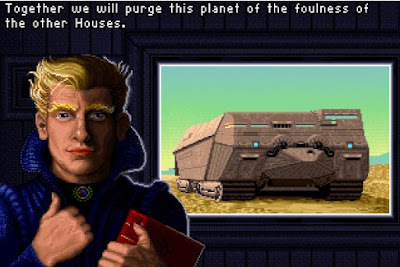 Dune II is a Real-Time Strategy game that is based off David Lynch's 1984 film interpretation of Frank Herbert's sci-fi novel Dune. As Baron Vladimir Harkonnen says in the film "he who controls the Spice, controls the universe". Consequently House Atreides and House Harkonnen vie for control of the source of spice melange in the game, planet Arrakis (aka "Dune"), along with a third house called House Ordos - a house totally made up by the developer, Westwood Studios. While Dune II wasn't the first Real-Time Strategy (RTS) game in existence it did raise the bar for what was expected of an RTS in the 1990s. Thanks to the success of Dune II, Westwood Studios would go on to create the Command & Conquer series as well as remakes of Dune II. 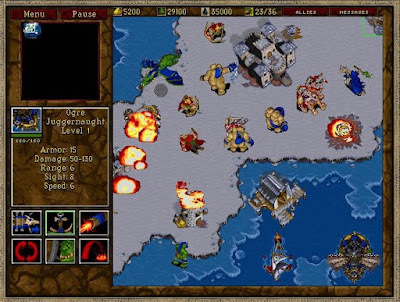 It also proved there was a market in RTSs resulting in the Warcraft and Starcraft games by Blizzard and the Total Annihilation series by Cavedog. Three out of the four judges have played this classic RTS and two have voted it as one of the best games to come out of the early 1990s. 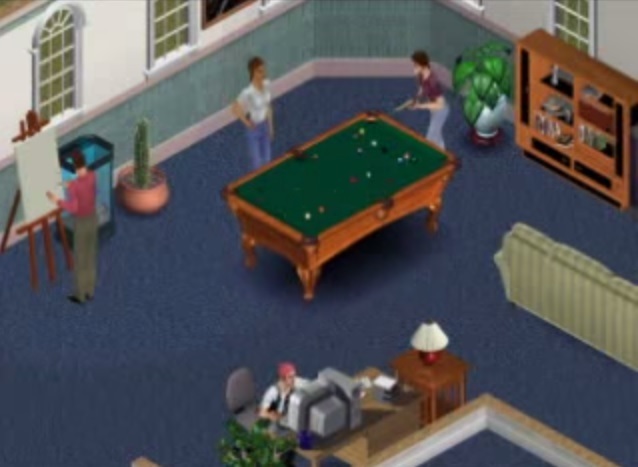 Ah, The Sims - a virtual doll house simulator by the great mind behind SimCity, Will Wright. While you might think I'm deriding the game by labelling it as such, it's probably the very reason the game did so damn well - i.e. it's a game that caters to the widest demographic possible. 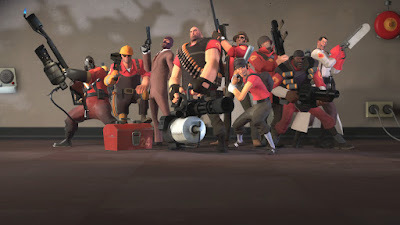 Males and females, regardless of age are able to find something to enjoy in this game, whether it be designing houses, raising virtual children or tormenting your virtual people to death (you sadistic bastards - you know who you are)! The Sims became one of the best-selling PC games of all time selling over 6 million copies proving that once again gamers liked sandbox games or "software toys" (as Will Wright liked to describe them). The game would also pave the way for a tsunami of sequels, expansions and content packs which is probably why the other judges haven't rated the game that highly. You can't deny Will Wright's genius though.